The anti-osteoporosis bisphosphonate drugs may prevent bone loss but long term use results in weaker bones that are more prone to fracture, Hong Kong researchers have shown. 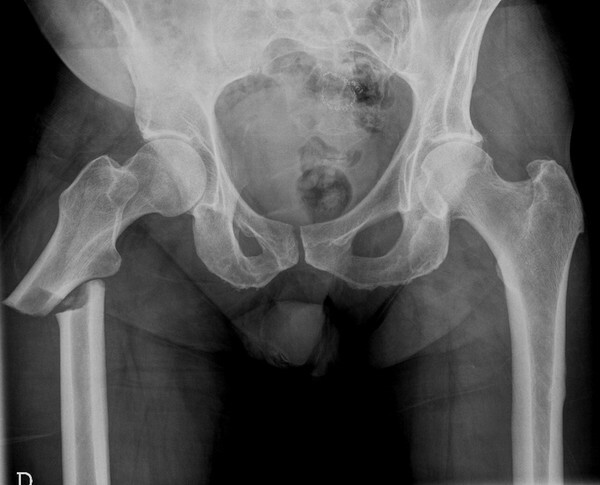 In a study to assess the link between long-term bisphosphonate treatment for osteoporosis and atypical fractures, researchers from the Department of Orthopaedics and Traumatology and Bone Quality and Health Centre at the Chinese University of Hong Kong, studied bone health in 28 elderly patients taking bisphosphonates. They found that when compared to a control group of 37 elderly people, the total hip bone mineral density was no different in the patients who took bisphosphonates for osteoporosis prevention for four years. However, bisphosphonate-treated patients had lower bone mineral content in the femoral shaft, and they also had a weaker bone structure in the subtrochanteric and mid-diaphyseal regions and thus significantly lower bone strength. CT scans confirmed that there was significantly decreased trabecular density, bone volume ratio, trabecular number but increased trabecular spacing in tibia and distal radius. Other tests confirmed significantly lower stiffness and failure load in tibial bone. Biochemical studies also showed lower bone resorption and severely suppressed bone formation activity following bisphosphonate treatment. The researchers say that the unchanged total hip bone mineral density between the two groups confirmed the beneficial effects of bisphosphonate on trabecular bone, thus preventing osteoporotic fractures in general. However, the inferior structural, densitometric and biomechanical properties at cortical bones, especially femur midshaft, need special attention to look into the association between long-term bisphosphonate intake and the occurrence of stress fractures, they suggest. They recommend that when patients taking bisphosphonates complain of proximal thigh pain or discomfort, X-rays should be used for screening. All patients prescribed bisphosphonates should be informed of the possibility of these potential bone weakness complications, they add. "In conclusion, inferior biomechanical properties due to structural deterioration and poor bone mineral content at cortical bones of osteoporotic patients, together with the uncoupled bone remodelling process with long-term bisphosphonate intake were depicted in this study. These findings may explain high tension stress in the lateral sides of the subtrochanteric and midshaft regions is prone to stress fracture during normal daily activities. Until the risk factors of developing atypical fractures can be identified, patients under bisphosphonate treatment should be monitored closely to detect the potential problems, and early and prompt treatment should be given accordingly. " And as the half life of the drug in the bone tissue is around ten years, plain film checking for stress fractures in case upper or mid-thigh pain is [advised], even after the drug is stopped, they suggest.